Science teachers know that the Internet holds a wealth of information for both themselves and their students. Lesson plans, background information, assessments, reviews, labs: all this and more. The problem isn’t finding material. 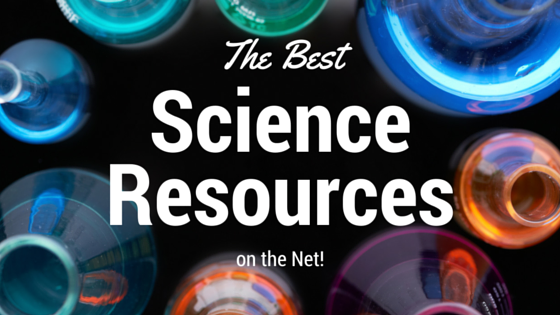 The challenge is wading through all the websites to find the best science resources for your classroom needs. To help you with the sorting, here are some top online resources for high school science teachers. Periodic Videos: Click on an element from the Periodic Videos website, and you’ll get an extended video. A chemist from the University of Nottingham hosts each segment. You’ll learn background information, see experiments and discover how elements are used in daily life. In addition, bonus videos cover molecules, physics and astronomy symbols, and math topics. Scientific American: The website for this publication has chemistry articles, videos and podcasts. Filter by medium or do a topic search. Read about the use of fire during Neanderthal times or listen to an explanation of chemical disposal. An “Education” section links to activities, research opportunities, news stories and collaborative opportunities. Similar pages cover other areas of science and related science resources. EdTechTeacher: Find links to high quality chemistry sites here, as well as for other science disciplines. For example, a general chemistry section from Frostburg State University has simulations, tutorials, FAQs, trivia quizzes and online tools. The Royal Society of Chemists’ “Learn Chemistry” site offers a range of resources, including experiments, videos, games, handouts and presentations. ChemCollective from Carnegie Mellon provides virtual labs, simulations, learning modules and tests. Earth Exploration Toolbook: The Science Education Resource Center at Carleton College offers earth science activities. Each topic is conducted like a case study. Data and analysis tools help students investigate real-world concerns. For instance, students explore the Antarctic ozone hole through satellite images, tracking historical changes. Ocean drilling data provides information to determine climate conditions 50 to 60 million years ago. PBS Nova: Nova is known for all kinds of science information. The Planet Earth section contains articles, expert Q & As, video shorts, interactive segments and full NOVA series episodes. Nova TV includes coverage of the 2015 Nepal earthquake, the danger of sinkholes and Iceland’s volcanoes. The site also has book recommendations and links to other useful resources. National Geographic: This magazine’s website has current articles, videos and blog posts about the environment. In addition, you have access to archived stories. Earth science article topics include global warming, the Bermuda Triangle and ocean pollution. Videos explore auroras, hurricane basics and alternative energy sources. Solar Action Alliance: This site exists to educate visitors and provide them with opportunities to get involved with solar. This includes a petition, a blog full of informative articles, location-specific solar infographics, and much more! TED Ed: This TED (Technology, Entertainment and Design) website for teachers offers original animated videos about science, including many for biology. High school topics include sleep deprivation, the asymmetry of human bodies and benefits of microorganisms. The “Create a Lesson” link lets you select a video and build instruction around it. Develop questions, add notes and list resources. Understanding Science: The Museum of Paleontology of the University of California at Berkeley created this site. Grade-based teachers’ lounges contain lesson plans, teaching tips and preparation strategies. Lesson plans are organized using conceptual frameworks, such as “how science works” and “science and society.” The resource library contains information about misconceptions, developmentally appropriate learning goals and assessment. Smithsonian Education: The institution presents working scientists in several disciplines, and life sciences are well represented. Videos, written profiles and links to other material are available. For instance, watch a veterinarian from the Smithsonian’s National Zoo explain her duties. Or see a marine ecologist at a Panamanian research facility discuss his exploration of marine parasites. NSTA Learning Center: This section of the National Science Teachers’ Association website has free resources for high school physics teachers, though many science areas and grade levels are covered. Increase your understanding of specific concepts in physics, such as electric and magnetic forces. Book chapters offer student activities, assessments and labs on topics such as the Bernoulli principle and light reflection. Educators need to set up free accounts for access to these science resources. Additional materials are available to NSTA members. Khan Academy: Video tutorials for several curricular areas are offered here, including physics. Content is organized by topic or class, such as AP Physics I. Introductory quizzes preface videos to see if viewers have sufficient background knowledge to understand topics. Concepts are divided into short segments. For instance, each of Newton’s laws of motion is covered individually. The Physics Classroom: Access several different types of media here. Classroom tutorials with text and graphics explain basics content such as vectors, momentum and work. Physics interactives use simulations to enhance understanding. For example, students measure the force of a cart going up an inclined plane. The multimedia studio covers physical principles using video, animation, explanations and web links. Internet modules contain assignments and accompanying assessments. Google Earth: Don’t let the name fool you. Google Earth takes you and your students into space to find images of stars, constellations and planets. While viewing the sky, use navigation tools to move around and zoom. See photos and information from the Hubble telescope. Watch the movement of planets. Explore the moon with pictures, charts, maps, 3-D models and video clips. Mars images include both current and historical views. NASA: The National Aeronautics and Space Administration’s website has audience sections for both students and educators. Pupils in grades 9 to 12 have access to news, webcasts, competitions, lectures and apps. High school teachers connect to lesson plans, professional development opportunities and lists of suitable publications, websites and resource centers. The Science Channel: Learn about space from short videos on the Science Channel’s website. Clips from the channel’s programming and news updates are also available. For instance, see maps of the Milky Way and footage of the SpaceX rocket crash from “The Science Channel Presents.” In selections from “NASA’s Unexplained Files,” find out about space microorganisms and survival possibilities on Venus. Longer videos require viewers to sit through commercials. Don’t get overwhelmed by the sudden and vast amount of material at your fingertips. Work through the sites gradually, looking for resources that enhance the understanding of both you and your students. There’s no rush…this list of science resources will all still be here tomorrow. Megan Ray Nichols is the editor of Schooled By Science. She enjoys writing about various scientific subjects including astronomy, psychology and the environment. When she isn’t writing, Megan enjoys stargazing, hiking, and finding new books to add to her library.